Another lil list of Little Things to kick a Sunday morning off, it’s been a slow week (which I love) and to think I only have two more weeks left before heading back to the hustle and bustle of Glasgow. Dunelm Mill | Mum and I went shopping on Sunday to Straiton at Edinburgh to pick up some new interior bits for the house. I have a whole list of things I’m hankering after for my room as I just want it to be really lovely and homey. I did manage to pick up a new throw, pillow and some frames for prints I have lying around. I love Dunelm Mill as it really affordable but has really lovely things in lots of different styles. I’m planning on doing a blog post about my room in the next few weeks once I get it a little more organised so stay tuned for that. Four In A Bed | I don’t get wifi in my new bedroom as it is too far away from the router and we haven’t got around to getting a booster yet so I’m spending a lot of time downstairs. One afternoon when I was sitting in the living room blogging I switched the TV on to have some background noise and found myself watching Four In A Bed. I used to watch this show all the time three or four years ago and cor blimey, I forgot how much I adore it. Definitely going to be streaming this when I head back to university .. The Life Changing Magic Of Not Giving A F*ck | I have been hankering after this book for a good while as everyone on my social media appeared to be reading it or blogging about it. It took me ages (as always) to jump onto the bandwagon and when loitering around Urban Outfitters waiting for my train, I decided to buy it as I needed a new book to start reading. I’m about half way through and I can see why it was so popular. I haven’t written up my f*ck budgets yet as I haven’t had a chance to sit down but it is so easy to read and my mind feels lighter already! It has also inspired me to buy Marie Kondo’s The Life Changing Magic of Tidying Up which was another book to do the Instagram rounds as Sarah Knight refers to it on several occasions. Fat Face Dungarees | Dungarees are a style trend I have wanted to get involved with for ages but as I am a) quite short and stumpy and b) super awkward about denim related items, I knew it would be tricky. My mum mentioned she had seen a pair in Fat Face which looked nice so I went for a look and tried them on (this is a biggie, I never try things on) and just bought them. They were quite pricey but I got student discount and I don’t mind paying a little more for good quality denim. They are the softest and comfiest denim piece I’ve ever owned and I love that I can wear them with anything. I’m typing this little segment up on Tuesday night and so far I’ve worn them on Sunday with a breton tee to go shopping, yesterday to work with my NYPD tee and I’m wearing them right now with a black tee, which is what I wore to work. Have I mentioned I love them? The Cobbles | I used to work for The Cobbles (a restaurant in Kelso) back when I was 16. It was my first part-time job. Since leaving two years ago when I went to university and moved to Glasgow but I’ve never been back to eat. Steph and I went for a catch up and some food on Tuesday evening. It was really busy, we couldn’t get a table for two until 8 but the staff were so lovely and accommodating. We shared a starter of potato skins with sweet chilli and sour cream followed by beef burgers. The beef burgers were delicious – such tasty meat with yummy chips, coleslaw and an onion ring. The portion size was huge but that didn’t stop me being a pig and having an apple and pear crumble for dessert with ice cream and custard. So delicious though, so I have no regrets. We had such a lovely time (as always) and The Cobbles was such a great place to grab a bite to eat. Black Eyed Susans by Julie Heaberlin | I’m about half way through this thriller and according to Simon Mayo and the Radio 2 Book Club, it is the “thriller of the year”. So far, I’m seeing why. It is quite difficult to follow as it flicks between 1995 and the current day, which means you have to concentrate and I’ve had to reread a few bits when my mind has wandered. It follows Tessa who was the surviving victim of a serial killer, dumped in a grave with the bodies over his other victims, and her testimony put a man behind bars. Now when the man who was imprisoned for the crimes is about to be executed, Tessa is unsure if it was the right man. Someone is leaving her sinister messages and planting black eyed Susans. Is the killer still out there? It is SO good and I can’t wait to keep reading. 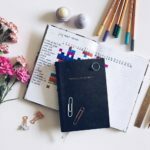 Filling Up A Notebook | I am so so so close to filling up every page in the Katie Loxton “Marvellous Memories” notebook I bought at the beginning of the summer. Initially I bought it to journal my USA trip but since coming home it’s been a blog planner, home to wish lists, to do lists, to done lists, countless blog post ideas, random thoughts that have popped into my head and I love it. I’m down to my last few pages which only means I need to buy another one, right? Instagram | I’m really into Instagram at the moment, despite the algorithm. I’ve never had that many followers so I can’t see that big of a difference between what I had and what I have now but I never really think about it tbh. 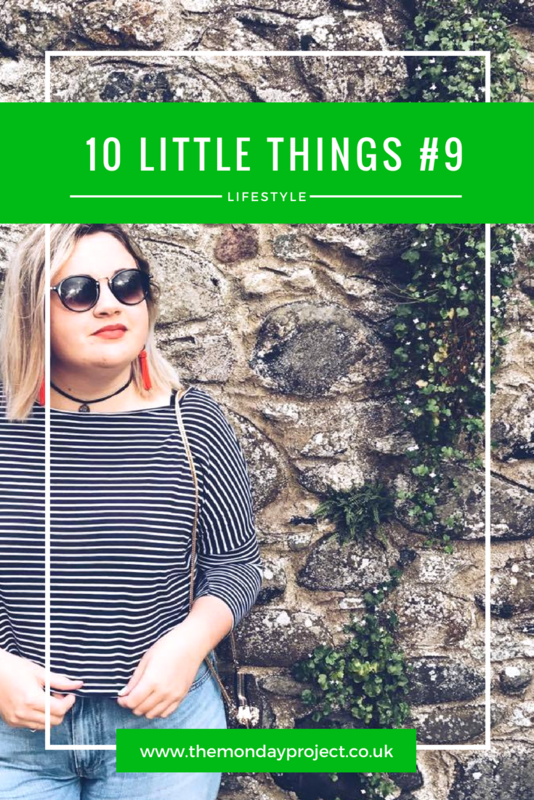 I use Instagram as an additional outlet to my blog: I love curating photos to fit in with the theme of sorts I’ve developed and connect them to my life and my blogging. I’ve become a lot more confident with captions, what I post, using hashtags this summer and I’m excited to see how my feed will develop when I go back to Glasgow. I think I’ve finally found a style of imagery that I enjoy and love creating so god, lets hope it continues. You follow me here btw if for some crazy reason you don’t. “Sort Your Life Out Saturday” | These are a necessity every once in a while. I dedicated my Bank Holiday Saturday to doing exactly that. I needed to go the hairdressers, the beauticians, order contact lenses, fill out a job application, email lots of companies about work experience/internships, sort out my finances (lol) and tick things off my gigantic “before going back to uni” to do list. It was all fuelled by Diet Coke and cake and it was pretty darn successful. 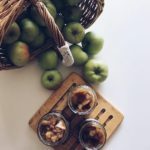 Apple Chutney | I made a batch of apple chutney on Saturday whilst watching Hairspray. A dream Saturday afternoon tbh. I’ve been wanting to make something with all the apples in our garden for ages but never got around the dedicating time to chutney. However I got my chance on Saturday, it looks and smells delicious and I’ll be sharing my Grandma’s recipe on the blog on Tuesday! My next apple conquest is apple and bramble crumble ..